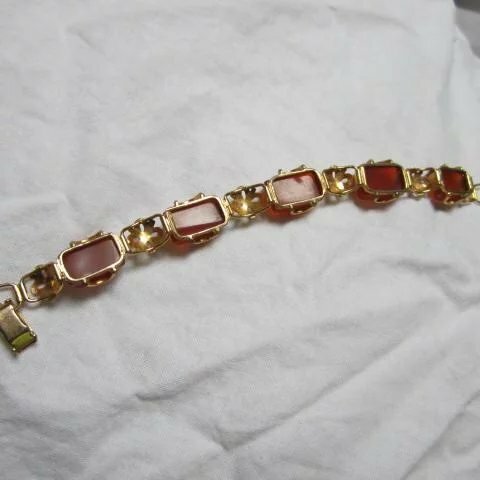 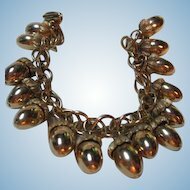 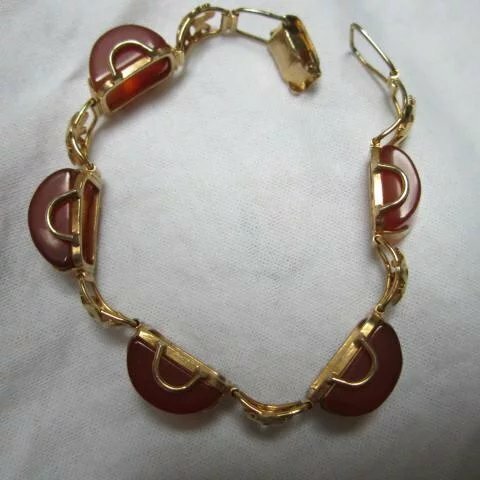 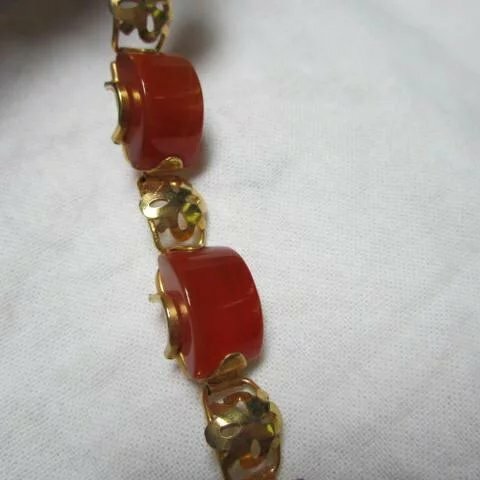 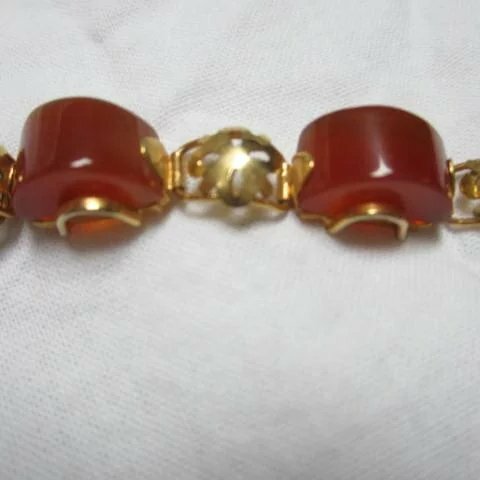 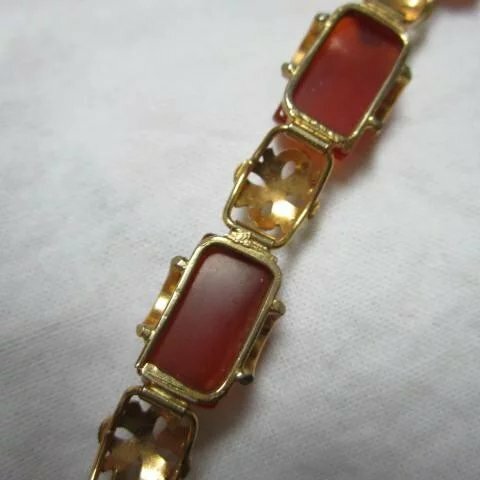 Gorgeous Art Deco Carnelian Half Round Decorated Gold Plated Vintage Bracelet. 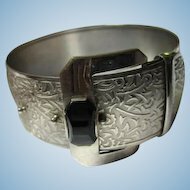 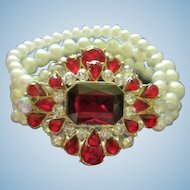 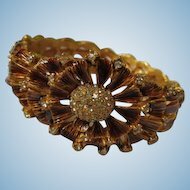 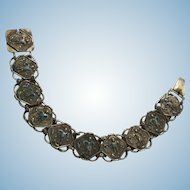 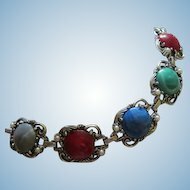 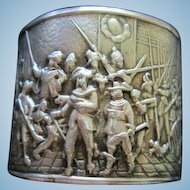 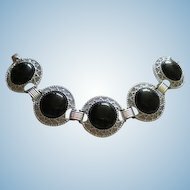 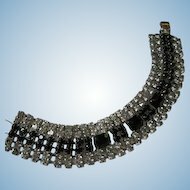 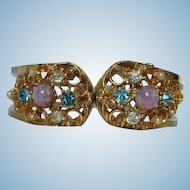 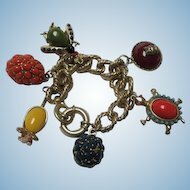 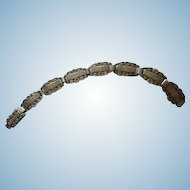 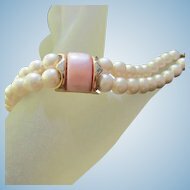 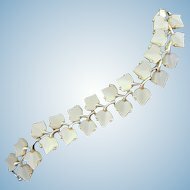 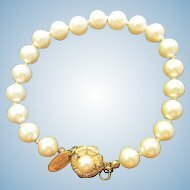 Most unique and Wonderful Art Deco design bracelet. 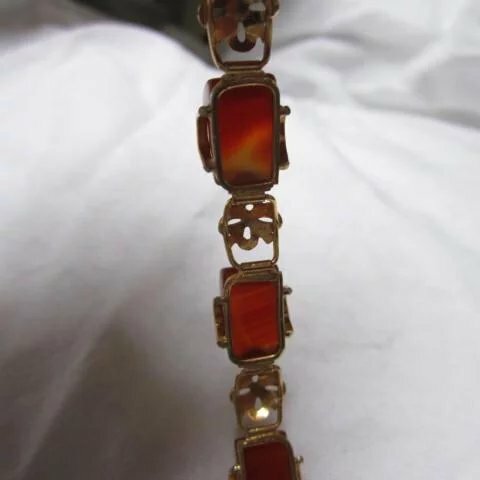 There are five links that have wonderfully geometric dimensional half round Carnelian Stones (amber or dark orange in color with some natural streaks when held up to light). 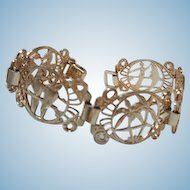 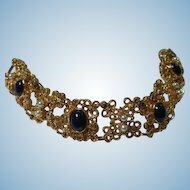 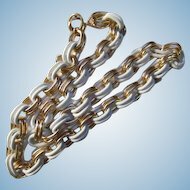 In between each one is a beautifully detailed link with a flower type design in gold plate. 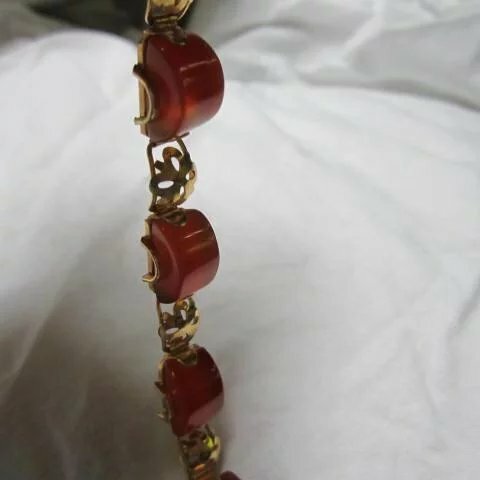 It has a box clasp. 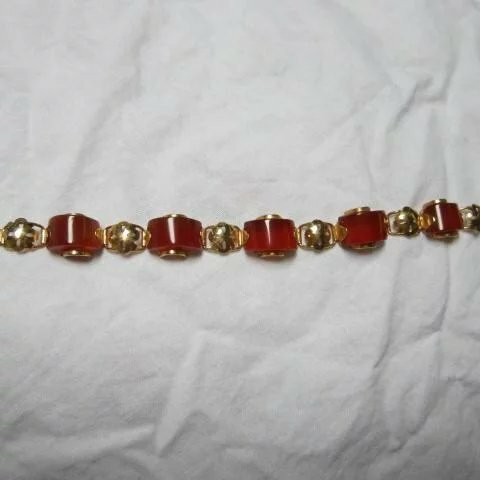 Measuring 6 3/4" length x 5/8" wide.